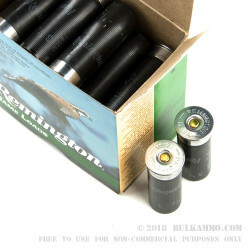 Remington’s Game Loads line of shotgun ammunition stands for an affordable solution for upland game hunting no matter what you carry or what you’re after. 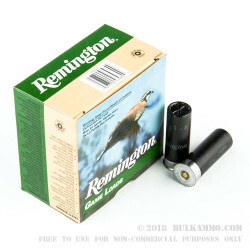 This 12 Gauge shell is loaded with an ounce of #8 lead shot. 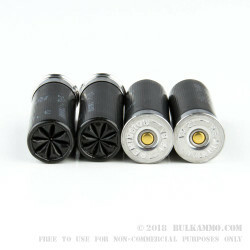 Its 410 .09” diameter pellets are very hard so that they can keep their round shape en route to exit the muzzle at a velocity of 1,290 fps. The spread they create is powerful enough to drop a smaller bird from a distance of about 30 yards, but not so much so as to leave you with an undesirable trophy afterward. This shell is in no way not up to the task of busting clays, either, so you’ll find its versatility of huge value however you’d implement it. 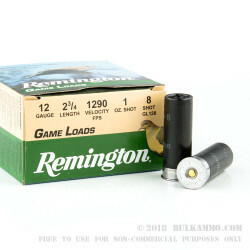 Game Loads ammo’s low price doesn’t mean it’s low quality. On the contrary, this shell’s even patterning wad, sensitive primer, clean burning propellant, and strong hull are a credit to Remington’s great reputation for fine craftsmanship.